PICKENS — Pickens High School senior Lexi Wierzbicki found her first passion at age 3, competing as a gymnast. However, as she grew, she had to move on because she was too tall for the sport. Out of necessity, she focused on volleyball in the seventh grade. 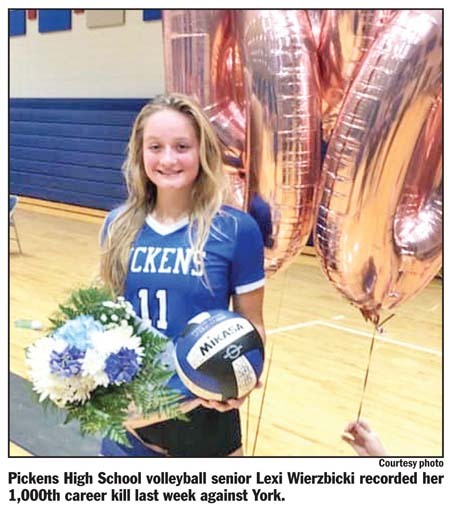 Since then, Wierzbicki has become one of the top players in the state for the Lady Blue Flame, being named Region I-4A player of the year three times, but last week she marked an even bigger achievement. 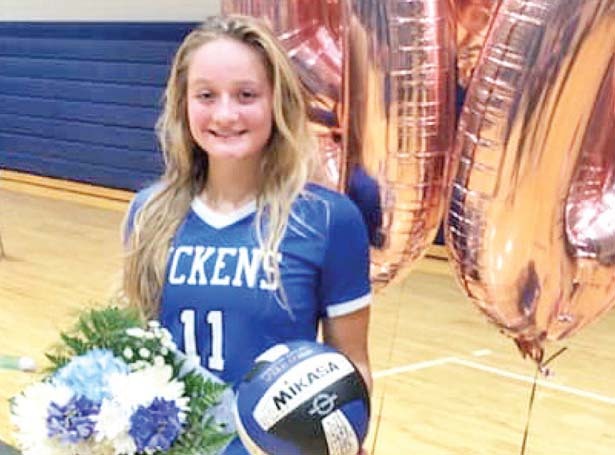 During Pickens’ second-round Class 4A playoff matchup with York on Oct. 30, Wierzbicki recorded her 1,000th career kill. Wierzbicki, who has been a starter for the Flame since her freshman year in 2015, entered the contest needing 11 kills. She knew it and the team knew it, but the task at hand was to beat York and advance. 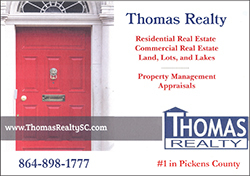 “I didn’t want to focus on anything but a win for our team,” Wierzbicki said after Pickens’ straight-sets victory.